Here at FMT we’re excited about the upcoming release of Dynamics 365 for Financials this fall, and want to share a sneak peek of some of the features that are going to make managing your business a breeze! Dynamics 365, formerly Project Madeira, is Microsoft’s newest line of Dynamics business solutions. Customizable, mobile, and affordable, Dynamics 365 will help you do more without breaking your budget. In this blog, we’ll cover four of our favorite features from the public preview of Dynamics 365 that are sure to help make managing your business simple. One of our favorite things about Dynamics 365 is how simple it is to navigate to the information you need. From the home screen, you can easily access common tasks like creating quotes, orders, and invoices by simply clicking a tile. The home screen also provides real-time performance metrics for your business—so you can get a high-level overview, without ever leaving the home screen. Navigating throughout the system from one area to another is also breeze via a handy collapsible sidebar. However, the most useful feature when it comes to navigation has to be the action ribbon. Your most used tools, actions, and reports for each part of your Dynamics 365 system will appear in this ribbon – so there’s no need to search through menus to get to what you need most. Keeping track of your business performance is easier than ever with the help of the Key Performance Indicators section on your Dynamics 365 home screen. 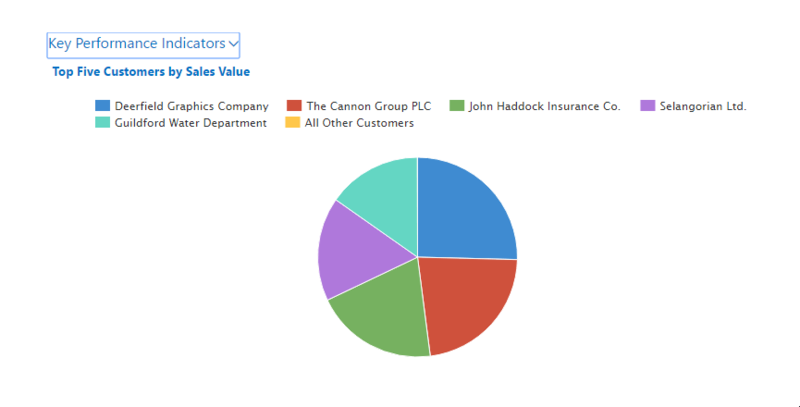 In the KPI section you can choose to display the charts that you want to see most often so there’s no more need to sift through all your reports to find the one you check every day. Charts displayed in the KPI section are kept up to date automatically and can be modified right from the home screen to show longer or shorter periods of time. Managing your inventory, prices, and products is easy with Dynamics 365. From the items menu, you can search for a specific product, check prices, attach product photos, and even adjust inventory levels all in the same place with an easy to use interface. One of the things that makes Dynamics 365 great is how it helps you along each step of the business cycle. From Dynamics 365 you can easily create quotes and change them into orders and invoices with just a few clicks of a button. However, what makes this feature really exciting is how it interacts with your Outlook inbox. With the Office 365 integration built into Dynamics 365, you can do all the necessities of business, right from your email inbox. Easily manage quotes, invoices, orders, and even customer accounts all without leaving Outlook. 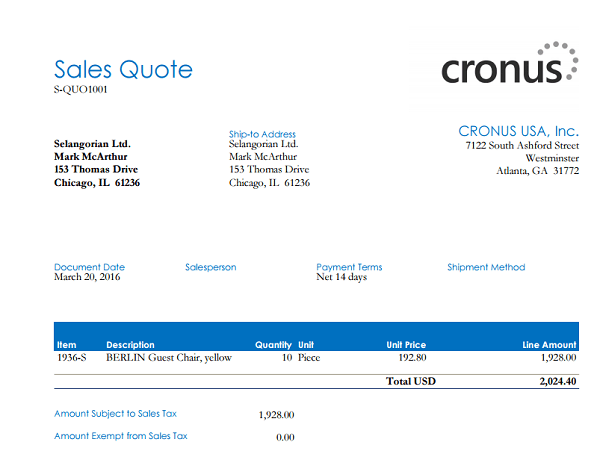 Dynamics 365 will even help you set up an email template for your quotes and invoices which is completely customizable, so you can tailor them to your company’s needs. You won’t want to miss this exclusive first-look! Register here. Be sure not to miss our other great sessions! Check out our full agenda while you’re there. If you have questions about nVerge or any of the Dynamics line of products, feel free to contact us using the form below. We’d love to hear from you!